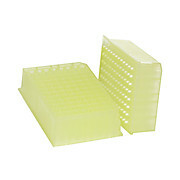 These clear polypropylene plates have a level footprint and conform to laboratory standards. 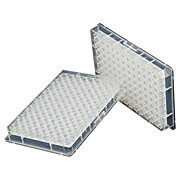 Adaptable for use with either Silicon-A plates or Zymo-Spin I-96 filtration plates. Capacity is 350 micro liter per "V" bottom well. 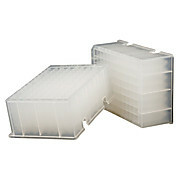 96-Well Blocks feature durable, clear polypropylene construction. Each has a level footprint and conforms to laboratory standards. 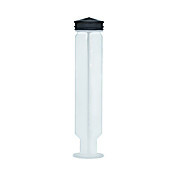 Capacity is 2 ml per round bottom well. 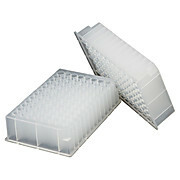 General collection device for transporting and storing samples. 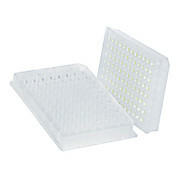 The 96-well Collection Plates feature deep-well, durable, clear polypropylene construction. 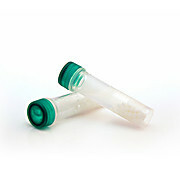 Each has a level footprint and conforms to laboratory standards. 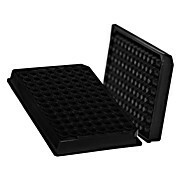 Adaptable for use with either Silicon-A, Zymo-Spin I-96, Zymo-Spin IB-96, and Zymo-Spin III-96 plates. 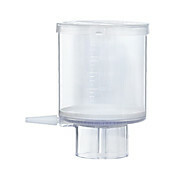 Capacity is 1.2 ml per round bottom well. 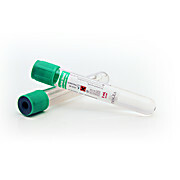 Collect samples from the environment, from animals, and larger tissue samples. 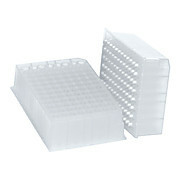 Collect samples from the environment, animals, cultured organisms, or microbial sample.